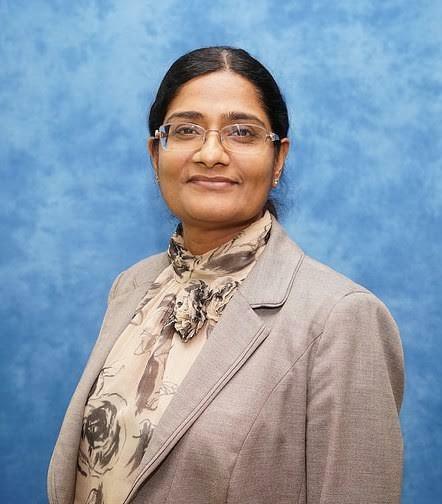 Dr. Lalitha Sivaswamy, a treating physician, teacher and researcher, was last week appointed chief of the Children’s Hospital of Michigan’s nationally recognized division of pediatric neurology. The hospital announced the appointment of Sivaswamy, who has served for the past year as interim division chief of pediatric neurology at the children’s hospital, Jan. 16. She has also served for the past 11 years as both a treating physician, and also as an assistant/associate professor at the Wayne State University School of Medicine, and is a widely-published pioneering researcher in pediatric headache disorders and therapy. A graduate of Madras Medical College in Madras, Dr. Sivaswamy completed her residency in pediatric neurology at Henry Ford Hospital and a fellowship in that specialty at the Children’s Hospital of Michigan. According to Luanne Thomas Ewald, CEO of the Michigan Children’s Hospital, the appointment of Dr. Sivaswamy underlines the hospital’s strong commitment to relying on both “outstanding research and powerfully effective clinical teaching skills” in the quest for improved patient care and outcomes. “She’s an outstanding clinician as well as a passionately dedicated teacher and researcher. And of course, her patients and their families greatly value her expertise, commitment and compassion. We’re lucky to have her taking up this new leadership role,” Ewald said in a press statement. A recent winner of two Children’s Hospital of Michigan “Teacher of the Year” awards, she also distinguished herself as a clinical researcher who has published frequently on migraine therapy and persistent headaches in children and her work has led to breakthrough findings documented in medical journals such as Pediatric Neurology, the Journal of Pediatrics and Pediatric Annals. “I’m honored to have been selected for this new responsibility,” Sivaswamy said. “The Children’s Hospital of Michigan and the Division of Neurology are both near and dear to my heart, after eleven years of service here. My number-one goal, of course, will be to do my best to help us continue to provide the best-quality patient care and I’m also passionately interested in continuing my research in chronic headaches, training pediatric neurology residents and pursuing cutting edge technologies in the treatment of pediatric epilepsy,” she said. Sivaswamy has also served as both an associate editor of the Journal of Pediatric Neurology and as a member of the Wayne State University School of Medicine Resident Education Committee for the Department of Pediatrics.